Ask for the order or what lessons about communication the lady in the supermarket taught me. Honoring Debra’s one year anniversary of blogging, I decided to share a little story from few months ago. It’s a very ordinary every day story but put in the right context and perspective, we can learn a lot about communication from it. One cloudy morning, I went to the supermarket because I ran out of coffee. Maybe it’s good to know (in advance) that I am not a morning person and I definitely hate going to the supermarket. So, I entered the supermarket. I looked around (I was on a vacation so I didn’t quite know that particular supermarket). I found the coffee, took my brand and went to the cash register. Ask for the order, always: The customer may or may not buy something. But if you ask them to, politely and with a hint of humor, they are more likely to! Don’t be shy. Don’t be rude. Don’t be arrogant. Don’t be pushy. Be yourself and ask for the order genuinely – as if you are talking to a friend and making a personal recommendation regardless what the answer might be. Share the information you have: Being a non-morning hating-the-supermarket customer, no way could I have noticed there are cookies at a discounted rate; or a small carton of milk beside the cashier. And I definitely had no way of knowing the brand of biscuits is new in that particular store. So, unless the lady at the cash register told me all that, there was no way for me to make a decision to purchase anything beside the coffee I went there for. Connect on a personal level: As hard as it may sound, it really isn’t. In my story – the lady in the supermarket winked at me! It was unexpected; it was funny; it was personal – it definitely helped me like her and purchase all she had to offer. Connecting on a personal level doesn’t mean you have to know the person you are dealing with. It means being human; being yourself; being honest and forthcoming; being creative; being funny sometimes. Connecting on a personal level has a lot to do with being genuinely interested in what’s going around you. More importantly, it means helping the other party, even if they don’t know they need help – and just because you can! What else did you learn about communications from my story? 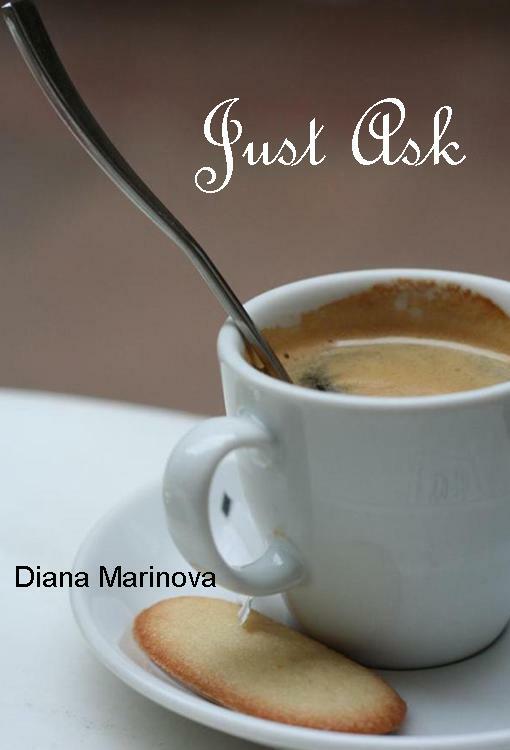 Diana Marinova is a freelance marketing consultant and writes a wonderful bog providing smart and practical advice for freelancers and anyone in the business world who has clients or is a client. So many truths in this story. I have tried applying this in my blog, and assume that my readers do not understand as much as I do. I find again and again that people are really appreciative of being given all the information and not making assumptions just because YOU understand or know something. We are all coming from different levels and places and have very different views and knowledge. And such a cool little story of the McDonald’s style – fries with that? but with a more honest approach. I sometimes wonder if we have gotten so concerned about offending clients/customers or “bothering” them that we forget how to serve them. I enjoy both your sites because you do not assume anything about my knowledge. Even if I already know/have considered something, it’s nice to get the confirmation. More often than not, I’m picking up valuable information. Great post Diana. As a Behavior Therapist, I conducted customer relations seminars, for KFC, and Taco Bell. Each worker was trained on the proper way of addressing the customer. By doing so, these customers felt at home, whenever they visited these sites. One can be develop a working relationship, without being overbearing. That cashier made your day, and also, made you feel as if you were the only one being catered to. Often times, I’ll wake up with an attitude, and the last hing I need is a grumpy person greeting me so early in the morning. A smile, or a friendly hello will go a long way. Good read. Blessings. You make such an excellent point about the impact a cashier or service provider can have on client experience. I know when I walk away with a smile, I want to go back. Wonderful story. That’s why companies do “samplings” for customers. It’s akin to asking for the order. I actually look forward to shopping at Costco because of all the food vendors passing out samples with the product right next to the sampling station. The smart reps will encourage you to try the sample. But others can really turn you off. I was there a week or so ago and picked a sample from a tray. The rep sternly told me that tray wasn’t ready to be sampled yet so I asked her, sarcastically, “do you want me to put it back?” She said no, to keep it. So why make the fuss to start with? Wow, I had to read that comment again to make sure you weren’t in your mom’s kitchen trying to steal a warm cookie. 🙂 With an attitude like that I wonder how many product sales were unnecessarily lost that day? I have learned over the years to ask. The worst that someone can say is NO. No is not a bad word, because you can spin off and ask why. If you do it in a non offensive way, it gives you an insight of what you may do to work around the situation. For example if a customer says no and you find out that the shipping costs are too high, that maybe something you can work on to get the order. Unless we understand why someone says no, it is hard to improve. To me being honest and not pushy you will come out the winner and so will your customer. No is such a little word to be afraid of that it makes you wonder why people make such a fuss over it. As you noted Arleen, we can learn valuable information from a “no”. So often we wait until it’s the perfect situation to “ask for the order” only to find that we’ve missed the boat. For freelancers especially, you just can’t afford to wait. You learn how to pull yourself together, even when you’re not in the mood to knock on doors and ask for orders. It’s not easy, but it’s also not as hard as you think … it also gets easier when you get positive results! Sometimes pulling yourself together is no more complicated then putting a smile on your face. Even if you aren’t feeling particularly cheerful, after a while you forget that you were faking it and just smile. so true it gets easier when you get positive results. and as Max said earlier in the comments – you can’t get positive results if you don’t ask, right?! Great reminder, Krystyna! Making someone feel good or putting them in a good mood will lead to successful sales. By relating to the person, anything can happen! Making someone feel good does not *always* lead to a successful sale but that’s the thing – you should do it anyway! (put them in a good mood, i mean). Then you will more often have successful sales. Thanks for your comment, Loraine! I used to wait tables in a fairly nice restaurant in Florida. I got pretty good at upselling all kinds of menu items and booze. The spiel generally started off the same. If I could get them talking about all the tourists sites and get them engaged that way, they always bought more food. It also helps that I always remind people of “someone” they know. You betcha I used that conversation starter to my advantage as well. I know I’m much more likely to buy things when some finesse and connection goes into the process. Jeri, my husband and I are always amazed when we encounter grumpy wait staff at a restaurant. It doesn’t happen often but when it does I always think, did no one explain to them that they are part of the dining experience? Not only can the way they engage result in more food sales, but it also influences whether you have return customers. That’s true of any business. i hear ya, Jeri! Thanks for sharing your experience – good lesson! You know Maxwell when I walk into a retail store and no one says hello or approaches me to see if I need help I get a little offended. While I don’t want a sales person to hover, I do want to know that they are interested in my business and in helping me. That’s what asking does. Debra thanks for bringing Diana over! Being in sales, and aren’t we all, the rule is for sure, always be asking – in this tale, for the order. Connecting on a personal level is so rare these days isn’t it? At least at a checkout. I love it when that happens as your report here. Best take away, connect. Let go of the cell phone, the tablet, all that stuff and start looking at people eyeball to eyeball instead of text to text. Spot on, Patricia – leave the electronic devices at home and go play networking face to face. Thanks for the support and encouragement! Great point Patricia. I work with folks from across Canada in my job, but we never really “connect” until we get a little face to face time. It’s as if looking each other in the eye makes it OK to relax. Great story Diana. Thank you! You are right on the money on this blog. I have recently started my own consulting company, where I have a web page, and a blog. It is just good for business today. What you have not only taught me in your blog, but reaffirmed about my own business offerings, is to be honest and genuine. My genuine is undoubtedly different than anyone else’s genuine. I have tried to allow my web page and blog reflect who I am. I have removed any pretense and opened myself up to offer an honest, idea and strategy driven consulting firm. Like the cashier at that supermarket that morning, I want to offer products that I believe in and have delivered with proven results. The focus on personal brand is such an important if not critical element of how we engage today. If someone can’t see the benefits of being genuine then they should consider the difficulty of being artificial. Maintaining a facade is a lot of work, exhausting in fact and too easy to let slip. Why bother? Diana makes a good point about context. Some things are genuine, but not always appropriate in a business context. I like the colors lime green and fuchsia pink, but that doesn’t mean I’d them on my walls. Hi Debra and HI Diana! Looks like she executed a successful upsell! Your points are sound – when the costumer is in the store (or on your blog) and already shopping (reading) it’s a great time to put forth an offer. You just have to make it attractive like you said! Very cool, happy to find this mid-afternooon read through Bloggers Helping Bloggers. Thanks for stopping by Greg, I’ll be doing the same with your blog shortly. Thanks for the promo Diana! I did mention she was in marketing right? Greg you make a great point about taking advantage of an opportunity when it’s in your grasp. It’s more efficient to keep a client and offer them additional services than ignoring them and trying to find new clients. That’s a good story, I think the best sales persons are the best people person. They “Connect” like Diana said. I would need to work on that, to pick on body language and facial expressions.. In fact, I would say that the people that are best at most jobs have excellent people skills.Unless you’re off in the woods working on your own you need to know how to read your audience and engage them if you want things to move smoothly. I enjoyed your tale! I admire the cashier for her winking skills. A born saleswoman. On the flip side, I am also learning to ask others for help – whether collaborating on a project or helping to build my business. Knowing how to reach out to others is key. Thanks for the feedback, Leora! Regarding reaching out for help, i have found 2 things: 1) it always works best if you just do it without pretending to be someone you are not; without hidden agenda or something; and 2) usually when you ask politely and straight forward for help – people respond to it. And if they don’t (for whatever reason) – it is paramount not to take rejection personally. I’m not always to most friendly in the morning either. Suffice it to say I need my coffee too. Being a sales, and marketing professional for many years I can so relate to this story. Many times opportunities are missed because we don’t ask the question. The other lesson here is to always be yourself and think about what the other person may want need and desire. Like Diana, I’m thrilled the post got the ball rolling on new story ideas. 🙂 The fear of rejection is so odd because it effectively leads to rejection. How can you get what you want if you don’t ask? It’s like committing yourself to the outcome you are trying to avoid. I like your last paragraph. Of course I have always been happiest being short and I’ll tempered, but as my wife reminds me, that doesn’t always serve me well. hahaha, right, it’s their problem if they don’t like me, right?! Like that attitude – thanks for your comment, Jon! I am definitely not at my best in the morning, I like to consider that the cost of being pleasant for the rest of the day…well at least prone to laughing. I guess being yourself with a touch of diplomacy is a good idea. BE Authentic is what I learned. Not only in your life, but especially in asking for the order. In my years as a sales manager, I often encountered the reluctant salesperson…the guy who was afraid to ask for the order, as if “NO” would have the effect of the atomic bomb! But I think if you believe in the product you are selling, and truly believe that it is a benefit to your customer you can’t help but be authentic in presenting it. And if the answer is “no”, the sun will still rise in the east:) Excellent post!